His long-lost son was the last person Dan Shepard, the Rattlesnake Lawyer, expected to meet when he was ordered to be at the courthouse in Truth or Consequences, New Mexico. Poor fourteen-year old Marley might even be psychic. With his special abilities, Marley can help Dan take his local practice statewide. Rattlesnake & Son could be the next great New Mexico law firm. Unfortunately, things go exceedingly wrong at school for Marley and he is charged with some very serious crimes. The Rattlesnake Lawyer now has to represent his son in his wildest trial yet. When he learns the truth about his son, Dan and Marley will have to face some extremely dangerous consequences. Rattlesnake & Son is now available as a downloadable e-book from Amazon Kindle. Donload a copy of Rattlesnake & Son for only $4.99! "And then above me, as if directly overhead, I heard the explosion." Dan Shepard, known as the Rattlesnake Lawyer, is a New Mexico lawyer with a law practice all his own. He gets the shock of his life when his son Marley, whom he hasn’t seen in years, shows up in his courtroom. Upon rekindling his relationship with his son, Dan finds out that a lot has changed with him, including the fact that the fourteen-year-old boy may possess psychic abilities. The lawyer in him sees stars in his eyes for what these kinds of abilities could mean for his practice. But life shatters this dream to pieces when things go awry for Marley at school. After a magic trick gone wrong, Marley finds himself in some serious legal trouble. Worse yet, the prosecution wants to try him as an adult. 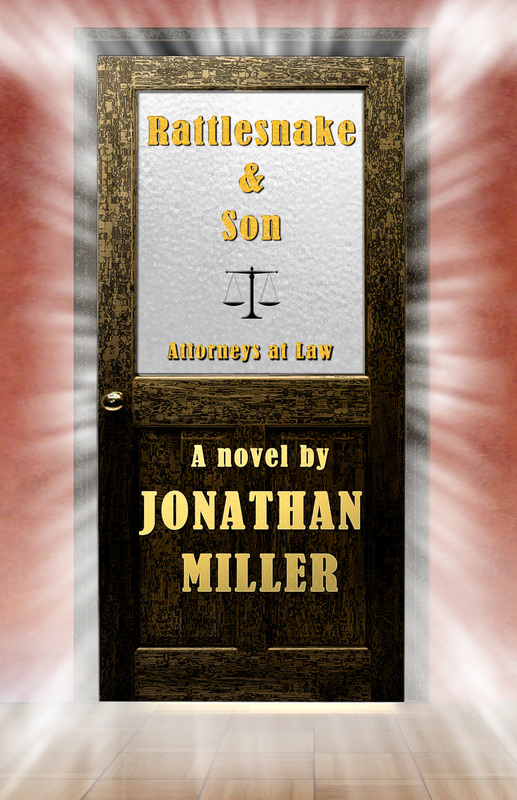 Dan rushes in to represent his son in a case unlike any other he’s ever had to deal with in his career. Was his son set up? Can the Rattlesnake lawyer get his son out of trouble, or will they have to face some of the dangerous consequences of trying to prove his innocence? Miller creates a perplexing story that is sure to ensnare readers in figuring out what is the truth and what isn’t. There are elements of the fantastical interwoven with the more grounded court proceedings, making for a unique story unlike any in its genre. The author’s skill in creating complicated and multi-faceted characters is also in evidence with Dan. This development is aided by the writer’s choice to reveal Dan to the reader from the beginning through the use of the first-person point of view. There are so many twists and turns that it will cause readers to hold onto their seats for dear life in fear of getting thrown off this roller coaster of a story.